Recipe by Naiya Sheth: In past, I have posted so many recipes of different types of pizza, like Cheese Bust Sandwich Pizza, Pizza Bhel, Mini Burger Pizza, Disk Pizza Sandwich, Paneer Pocket Pizza, Pizza Puri, Mug Pizza, Bun Pizza, Pasta Pizza, Pocket Pizza, Pizza Sticks, Pizza Paratha and last but not the list Nachos Pizza. All are yummy. And now it's time to make very simple and crispy Crackers Pizza. A very quick and easy homemade recipe. If pizza sauce is ready anyone even kids can make it. Let's enjoy this mouthwatering recipe of Easy and Crispy Crackers Pizza. 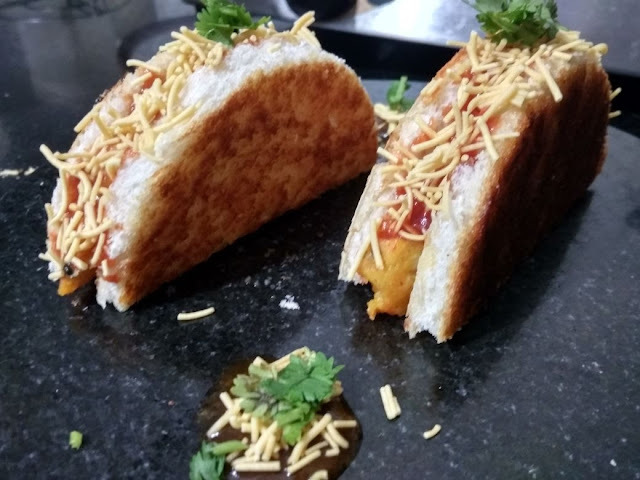 Recipe by Naiya Sheth: After very delicious Mini burger pizza and Tiny vada pav with creamy cheese sauce, it's time to make a same mini version of dabeli. Another verity of byte size/finger food. Easy and convenient to make and serve. May be served as a starter or party food for kitty/kids party also. 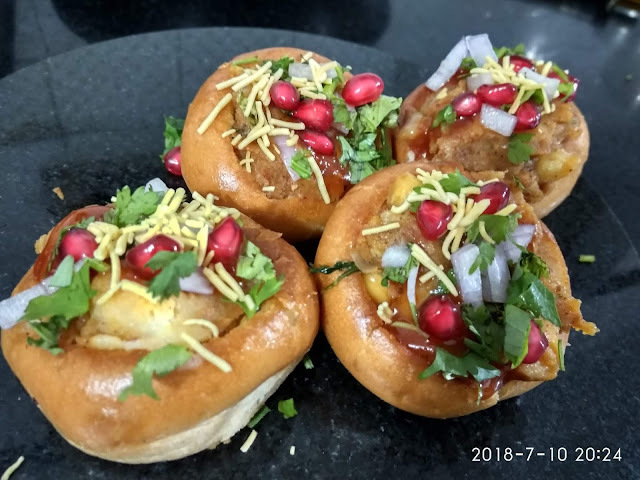 Once you prepare dabeli masalo it will take hardly 10 minutes to make this cute and delicious homemade recipe of Mini Dabeli. 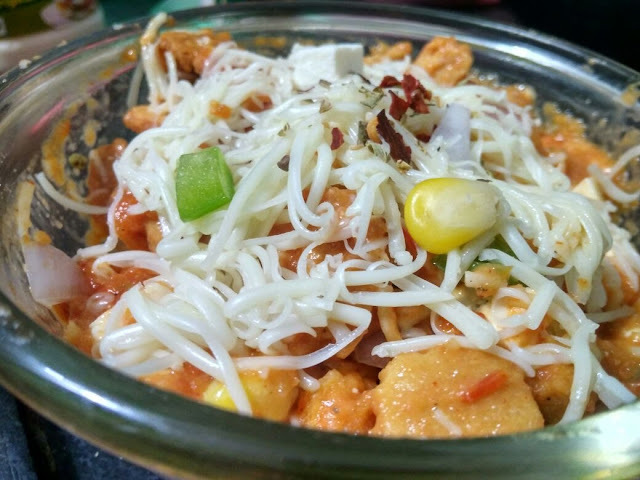 Recipe by Naiya Sheth: Here I come with very easy and innovative recipe of bhel. Yes, that's true it's Pizza Bhel. A very quick but delicious bhel with pizza sauce means no need of chutneys. And if pizza sauce is available it will take less then 5 minutes to assemble. I tried to use lots of vegetables but can use any vegetable of your choice. So, let's enjoy yummy Pizza Bhel. Recipe by Naiya Sheth: Super cute mini, handy finger food recipe again. After yummy, delicious Tiny vada Pav with Creamy Cheese Sauce, now it's time to make cheesy and delicious Mini Burger Pizza. A very unique, quick and easy recipe. And if pizza sauce is ready it will take just a few minutes for preparation. As always I tried to make it healthy, so it is loaded with vegetables and homemade paneer. So let's enjoy this super tempting recipe Mini Burger Pizza for a kids party, kitty party or in any party as a starter. 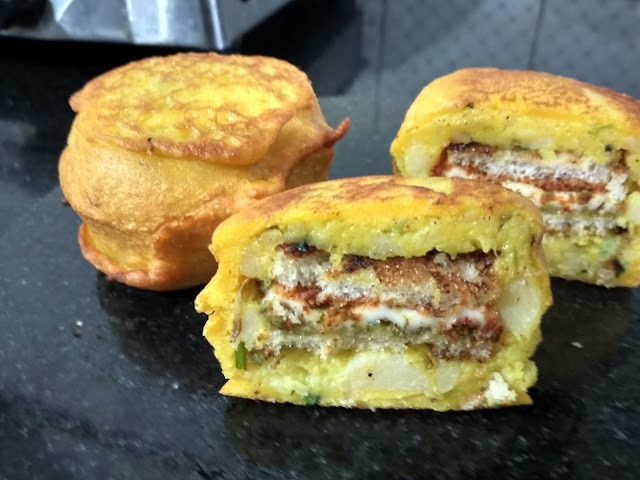 Recipe by Naiya Sheth: As the name indicates in this mouthwatering street food, I tried to place bread inside and vada outside. Exactly reverse from the original recipe of vada pav. All ingredients are almost same, but I added cheese to make it more delicious. So, let's make Ulta Vada Pav/Vada Pav Inside Out tonight. Recipe by Naiya Sheth: One more fusion recipe with fewer efforts and more stomach filling. Earlier we made tacos and tacos with chips but now its time to make taco sandwich. This time tried to make it different, means no need to make taco shells. Recipe by Naiya Sheth: As we all know vada pav is a very well known, mouthwatering street food from Mumbai. It is famous in other places also. 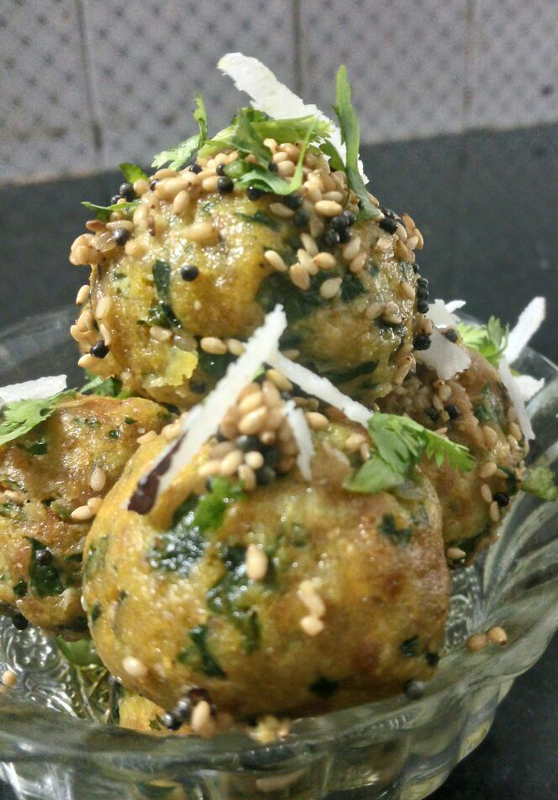 Today I am trying to make a little cheesier and tiny version of same delicious vada pav. Actually, I saw this recipe somewhere, but I now don't remember where. So, I tried to make it my way. And it was just yummy. Because of small size, it can be served as starter or finger food in kitty parties also. So let's make this super delicious and cheesy version of famous street food, Tiny Vada Pav with Creamy Cheese Sauce. Recipe by Naiya Sheth: Yes! finally, I made this. As the name indicates it will give a blast. Basically, it's an innovation of serving Pav Bhaji. I made fresh bhaji for this delicious recipe. But leftover bhaji can be used. And believe me, you will love the hot cheesy taste of Pav Bhaji Bomb. A new version of serving pav bhaji as single serving/finger food. Recipe by Naiya Sheth: Earlier we made two types of Khandvi, one was Khandvi in the microwave and then another was Khandvi in the pressure cooker. Personally, I like the second method. So few days bake I tried to make Khandvi with my all-time favorite fenugreek leaves. And the result was awesome. As I followed the pressure cooker method, it was little bit easy and no need to stir. Means no constant attention. 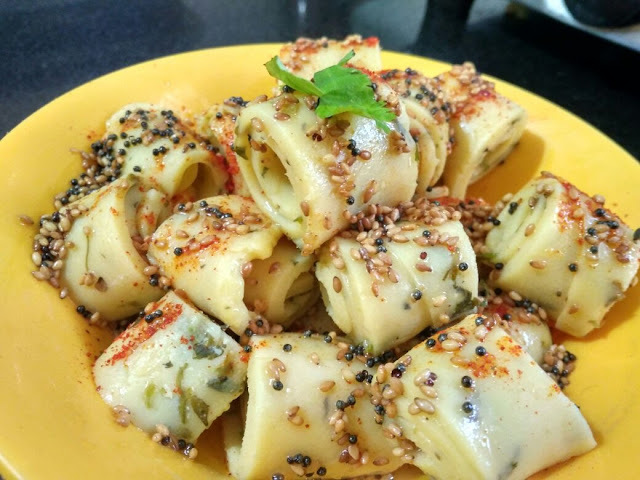 So let's try this super delicious, healthy Gujarati recipe of Quick and Easy Fenugreek / Methi Khandvi in Pressure Cooker. Recipe by Naiya Sheth: Spring rolls are one of the most delicious and most popular recipe from Chinese cuisine. 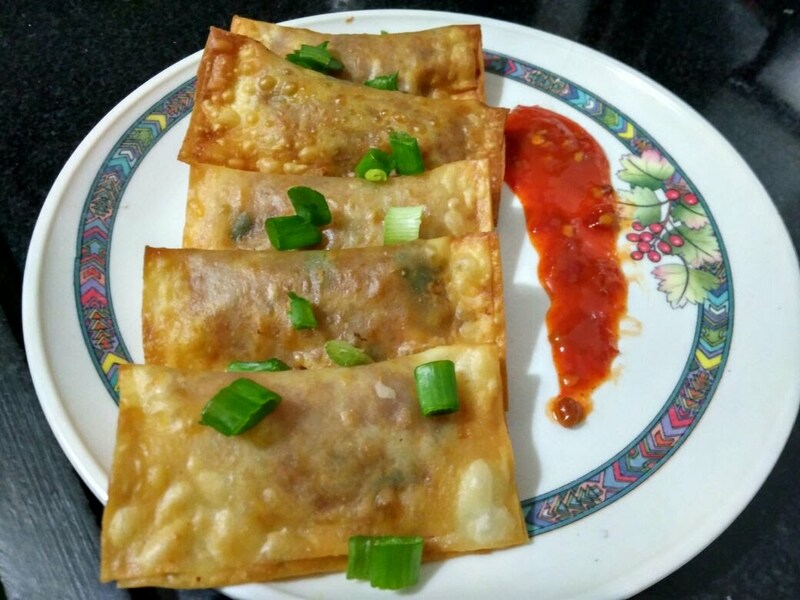 Yesterday I tried to make delicious and crispy mini spring rolls from samosa patti. It cut the time of outer layer and got very light and crispy spring rolls. So, if the filling is ready it will take very less time to make Mini Spring Rolls. 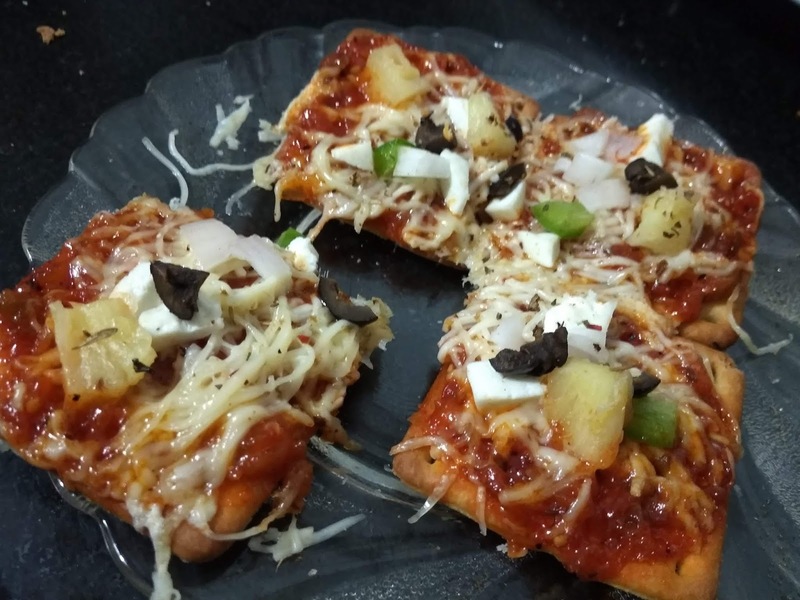 Recipe by Naiya Sheth: As the name indicates it is another innovative and delicious recipe for Pizza. As we know pizza is loved by everyone, especially kids and youngsters. So here it's again a different and easy version of pizza from bread. Actually, I saw it somewhere I did not remember. But I tried it my way and you won't believe it's amazing, simply superb. So let's make this mouthwatering recipe for Disk Pizza or Disk pizza Sandwich. Recipe by Naiya Sheth: Early we made Pocket Pizza which was a great and delicious combination of easy to make pizza. Before some days I came to know pocket pizza is known as Ulta pizza in Mumbai. 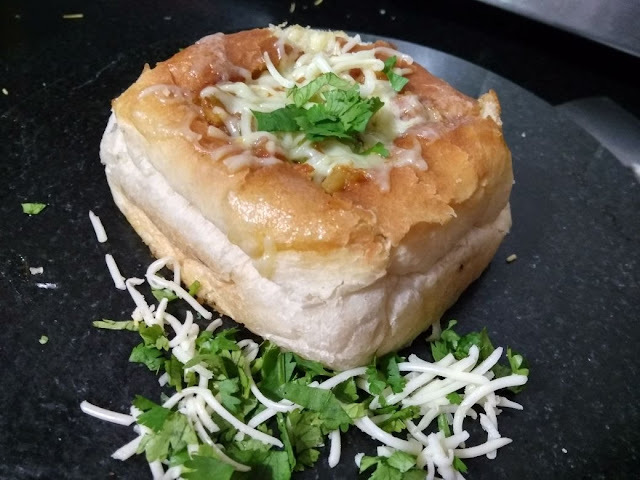 And now in this homemade recipe of Paneer Pocket Pizza, it's a great combination of pizza sauce with paneer and mayonnaise to make it little mild. And as always if pizza sauce and pizza base are available it is a very quick and easy to make recipe. 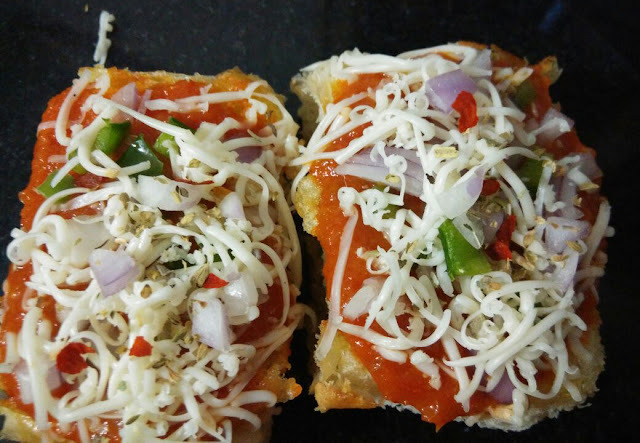 So, let's make this super delicious recipe of Paneer Pocket Pizza. This can be made for starter, single meal dinner and today I packed it for my son's lunch box also. Recipe by Naiya Sheth: Great fusion with delicious taste is here. Earlier we made simple Panipuri and Italian Golgappa with pasta filling. 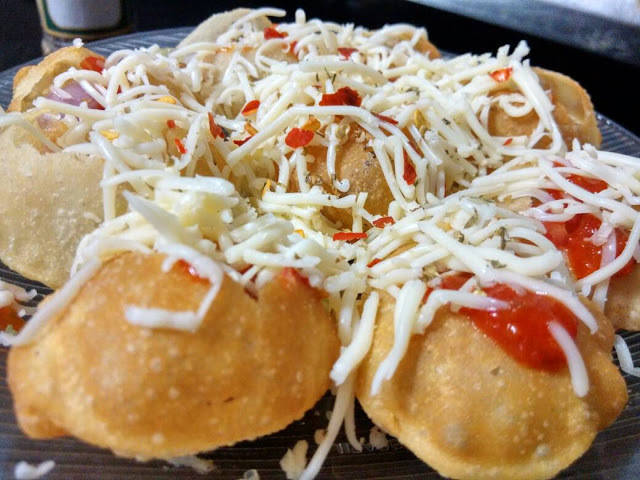 But now it's time to make super delicious Pizza puri a yummy combination of pani puri/golgappa/puchka with the filling of pizza sauce and vegetables. This may be an anytime snack for kids or guests. And as always if pizza sauce is ready it will take few minutes to make this homemade mouthwatering recipe of Pizza puri-golgappa with pizza filling. Recipe by Naiya Sheth: One more chaat recipe!!! I love chaats. Earlier we made so many chaat recipes. some of them are Idli chaat, Tikki Chhole, Aloo tikki, Khasta kachori, Crispi Khasta kachori, Pani puri, Sev puri, Delhi Chaat and last but not the list Bhel. 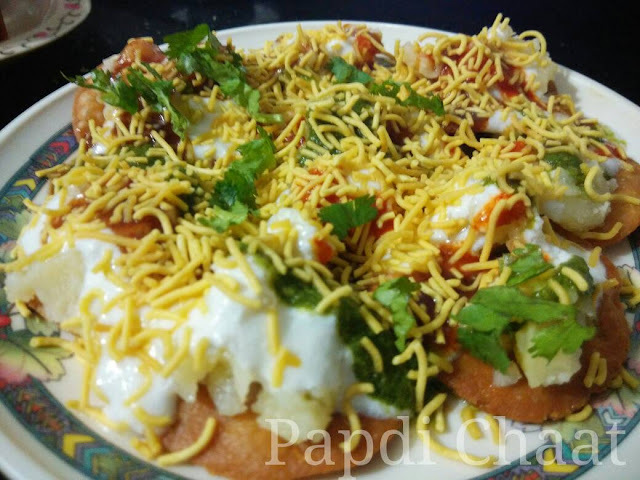 After all this mouthwatering homemade recipe now it's time for super delicious Papdi Chaat. And if papdi/crispies are ready it will be very easy to assemble. But I tried to make different crispies this time and that was from whole wheat flour. Believe me, it was awesome. 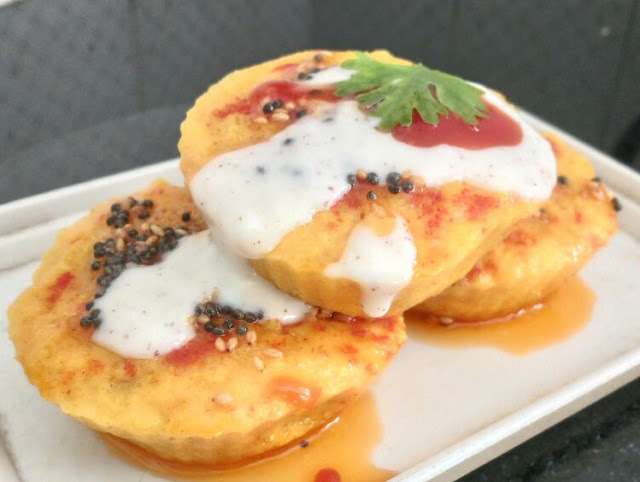 So, let's try this yummy chaat recipe of Papdi Chaat during this summer. Recipe by Naiya Sheth: Crispies are all time favourite snack. Earlier we made methi masala crispies, masala crispies, chatpati crispies and crispy chips with creamy dip. Now it's time to make very delicious, yummy and healthy cheese spinach crispies. I tried to make it healthier by adding spinach and whole wheat flour. So enjoy cooking cheese spinach crispies with any dip of your choice. Today I served it with salsa sauce. Recipe by Naiya Sheth: AS we all know cheese and mayonnaise are loved by kids. So, I tried to make a delicious and easy to make a sandwich with these two ingredients. As always I tried to add lots of healthy vegetables to make it filler as well as healthier. 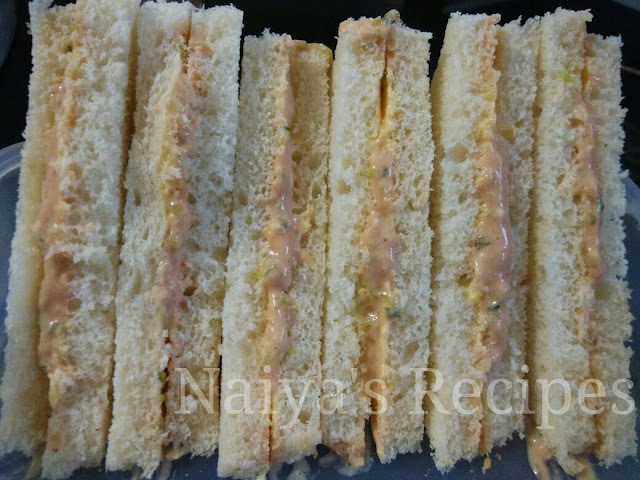 So, let's make this yummy Veggie Mayo Sandwich as snack or kids lunchbox item. I didn't grill it but can be grilled also. Recipe by Naiya Sheth: Once again a very quick and easy recipe for anytime hunger. As we all know Pizza is all time favourite recipe of all age group. I always have pizza sauce in my refrigerator, so I am always ready to satisfy such hunger. 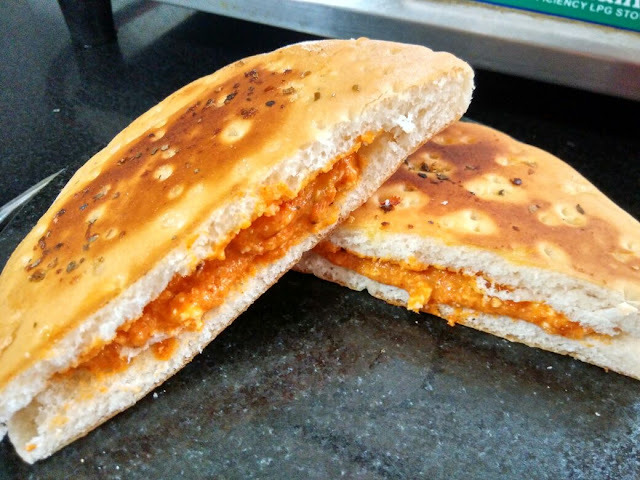 And above all yesterday I used leftover pav bhaji bun and frozen pizza sauce. And the combination was awesome. 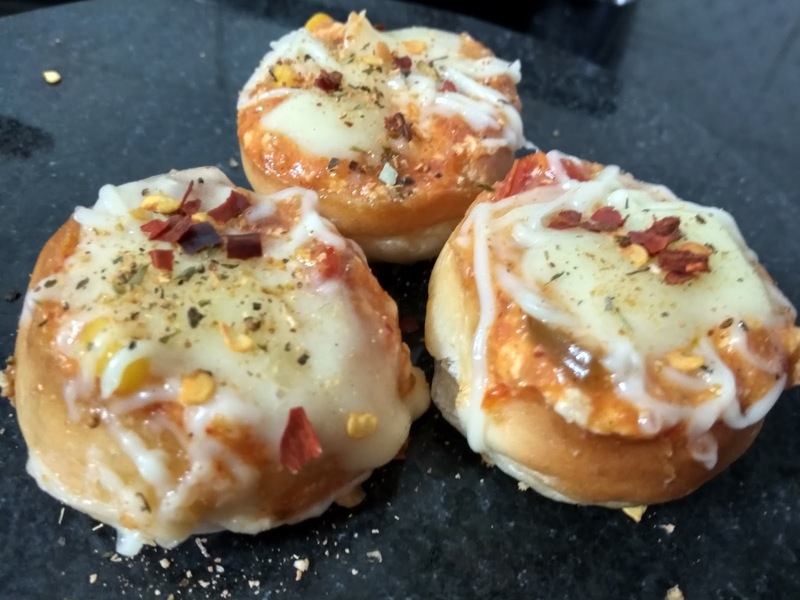 So, let's try this super delicious combination of Bun Pizza for anytime hunger. Recipe by Naiya Sheth:Again one more Gujarati farsan recipe. 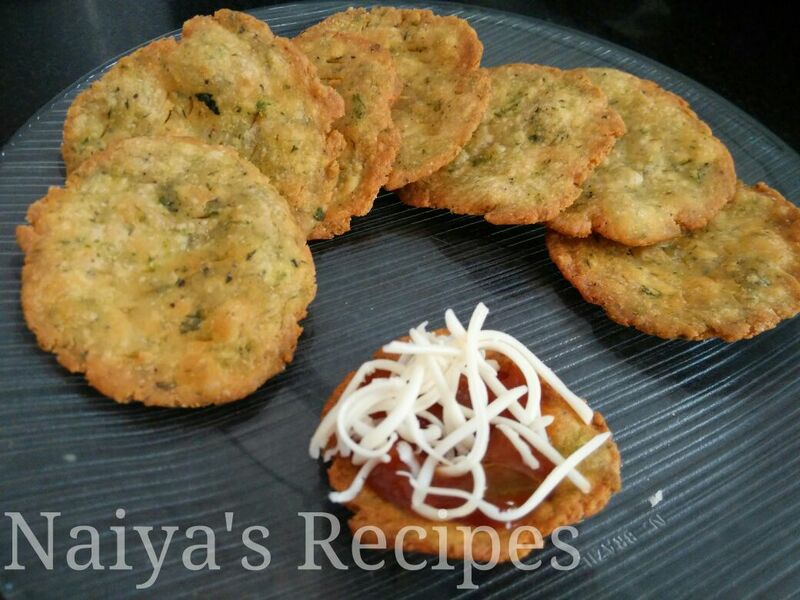 Basically, muthiya is a very popular steamed farsan/snack in Gujarat-India. It is low cal and healthy. Somehow it is easy to make also. Personally, I love the taste of methi bhaji-fenugreek leaves. So, I tried to add it with palakh/spinach. And it came out very nicely. So, let's make this delicious palakh methi muthiya as single meal dinner/snack/lunch box recipe or even a good idea as the purely traditional starter also. 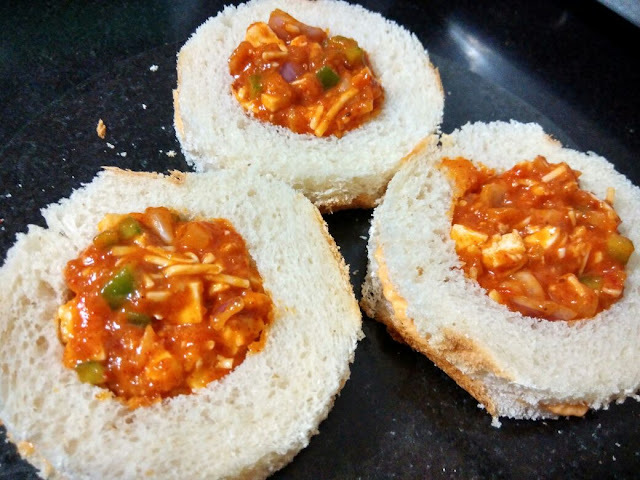 Recipe by Naiya Shet5h: As we all know dabeli is a very well known street food. And among them, Kutchi dabeli is very popular. Earlier we made different types of dabeli like dabeli itself, dabeli sandwich and dabeli toppings. But here it's time to make same delicious taste without bread. Yes, here it is a very delicious dabeli rolls. Here in this homemade recipe, I tried to make the delicious roll on simple fulka roti. Even leftover fulka roti can also be done. And it is very convenient for kids lunch box also. 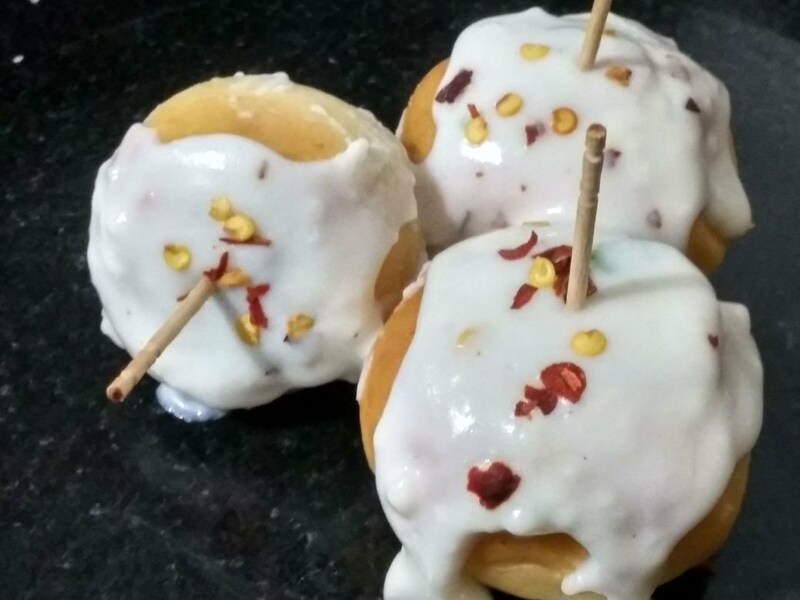 So, let's try this super delicious snack Dabeli Rolls.